A Scorpio-Pisces relationship is the ultimate “dream come true”. When a Scorpio gets together with a Piscean, sparks fly and we all witness the fireworks. These are two signs perfectly matched and their union is the making of a Shakespearean love story. Both Scorpio and Pisces are water signs and they seek out mates who appeal to their deeply sensitive and emotional nature. This is a strongly intuitive relationship based on their shared emotional strengths. Scorpio and Pisces share a seemingly effortless chemistry. Their relationship is extraordinary and they seem as though they were made for each other. Because of their emotional natures, they connect on a level that is basically not in the reality of many other signs. With Scorpio and Pisces, there is such a strong bond that their relationship usually leads to marriage. The Pisces Male: He is the quintessential romantic. 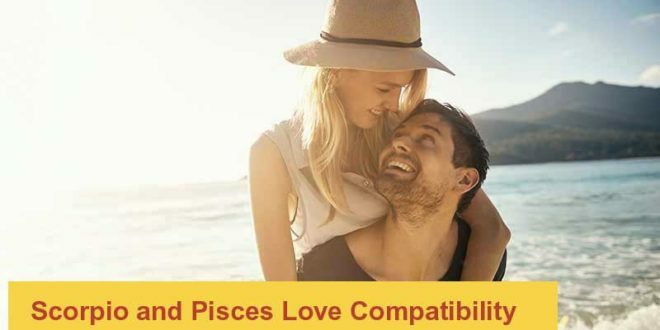 The Pisces man is sensitive, caring and has no qualms expressing his feelings. He, however, has unrealistic ideas of romance that make him fall out of love quickly when he realizes there is no such thing as the perfect woman. The Pisces Female: The Pisces woman is the ultimate enchantress. She is soft and feminine. She is charming and makes a man feel like a man because of her need for a protector and leader. She is a nurturer and in relationships, she can tend to become a tad clingy. Scorpio is faithful and loyal; this will make the Piscean open up and this, in turn, pleases Scorpio. This match is blessed with a colorful association that makes both signs nurture their relationship with a combination of deep trust, understanding, and loyalty. As with all relationships, a Scorpio-Pisces relationship is not a complete “bed of roses”. Their mutually shared emotional nature may encourage mutual depression so bad that they drown themselves in their feelings and have difficulty coming back to reality. Pisces can also be emotionally manipulative at times and will create some drama or sob story in order to get attention. Scorpio, a sign that favors the bold and abhors weakness in any form, will consider this needy however and despise Pisces as a result.